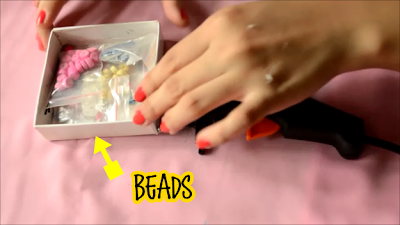 Patrine's Thoughts: DIY: SPICE UP YOUR BORING HEADBANDS! Hey guys!! 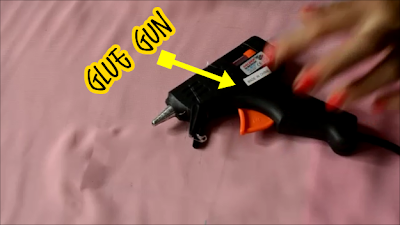 I have another super easy DIY for you! This is great for spring and/or summer. Any type of beads you want. I used colorful wooden beads. 1. 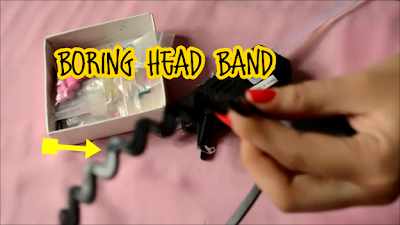 Using a glue gun, heat it up and apply an ample amount on the top of your headband. 2.While the glue is hot, stick your bead. Repeat the step until you reach the end of your headband. 3.Use your scissors to remove the excess glue. New follower here.Followed you thru GFC.You have a lovely blog. Hi Patrine, your posts are always so interesting and your pictures are really good! I have a game for you, here is my post: http://beautyinchina.blogspot.com/2013/04/most-used-makeup-my-top-ten.html It was so much fun for me!